Hi, my dear friends! Today Design Birdy and I are representing special project for newborns and their moms and grand moms and not only!This baby set is TOO CUTE! The colors are brilliant and only you have to do is to knit this cardigan and hat! You will agree with me that this set is perfect gift for everybody, who is pregnant or already gave a birth to their children. 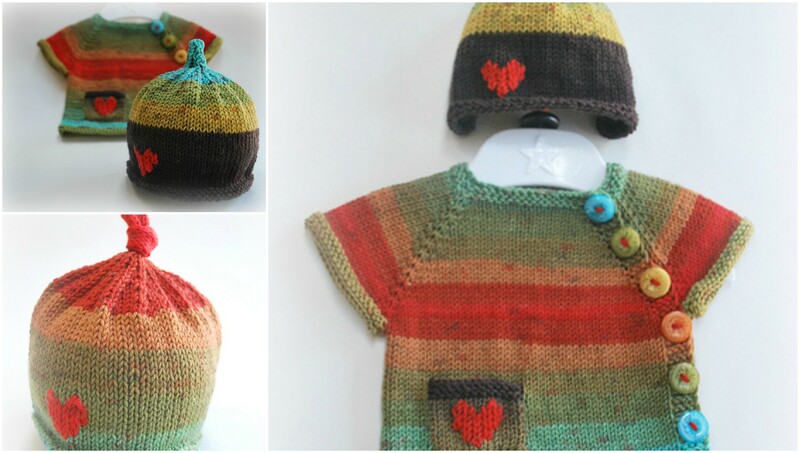 For boys you have to change colors and knit the hat without the little heart on it. You can add any other detail, it is up to you, but the idea of this project is wonderfull. Whole article is under the text. You can share with your results after knitting the set. I wish you all good wishes and enjoy with the pleasure of good knitting!